Take a quick look at this passage from Matthew 20:29-34. 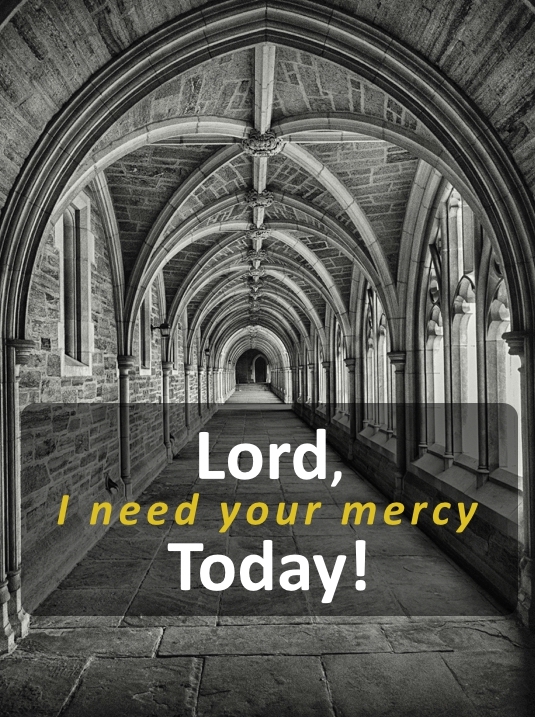 1) When asking Jesus for his mercy, make an emotional investment (Lord, have mercy on us). These guys asked more than once. They put their heart into the request. If it’s not meaningful enough to us, it probably won’t be meaningful to Jesus. 2) Ignore the naysayers (The crowd rebuked them, telling them to be silent). There will always be those around us who doubt God, his ability to do anything, or that he even cares. When this happens, surround yourself with believers who are mature in their faith who will partner with you in prayer. 3) Be specific with your request (What do you want me to do for you?). Jesus already knows, but it’s that relationship thing again. He wants you be make it personal with him. Notice, however, that he doesn’t ask the men ‘How.’ This is super important. Simply answer the ‘What’ and trust him with ALL the details. 4) Trust that he does care about you and why you are making your request (Jesus in pity touched their eyes). When translated, the word ‘Pity’ literally means to have compassion. Jesus was moved by their situation…and he’s moved in yours as well! Remember this the next time you ask for something. And imagine Christ looking intently into your eyes with compassion, caring, and genuine concern. 5) Follow him, even more than before, once he answers your prayers (and immediately they recovered their sight and followed him). Never take his touch on your life for granted. There’s always a reason, and it will almost always bless someone else who is not even involved in your specific situation. Today, may you cry out to Jesus with all your heart and clear expectations. And may you find peace as he turns and looks into your eyes.